Plaza Antonio Lopez 6, 8002 Barcelona, Spain. The Hotel La Casa De Les Lletres has a perfect location in the Port Vell of Barcelona with views toward the Mediterranean Sea.The hotel is situated in the middle of historic center of Barcelona: the districts El Born and the Barrio Gótico. 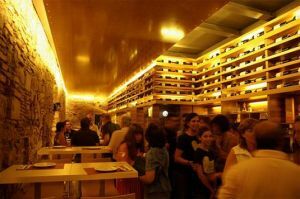 It is a building with six apartments where the avant-garde design meets the hundred-year-old tradition. Its singularity consists of the fact that each one of them is dedicated to a literary author who had a special relationship with the city of Barcelona. Each apartment is decorated with warm colours and wooden panelling and are equipped with kitchen and Bathroom. Museum Area, Near the historic centre, Panoramic view. Exclusive apartments to rent with services to enjoy Barcelona.One of thos is placed in the old quarter of the city,in front of meditarranean Sea. 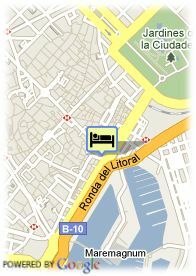 Hotel Medium Prisma is situated next to the Francesc Macià square in a commercial and business centre.